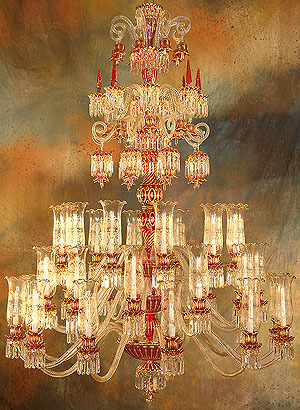 Our Bohemian Style chandeliers offer elegance and the unsurpassed quality our clients have come to expect and trust. Bohemian Style chandeliers represent the traditional elegance and beauty of European lighting. Distinctive features include the candle arms and the sparkle of the highest quality crystal used to dress each piece. Because we manufacture our Bohemian collection in Europe ourselves, we can work with your specific needs to create the perfect piece for your home. Please contact a customer care representative for more information if the standard sizes do not meet your specific requirements. 1 800 819 4577.